CRUSADERS FOR CHRIST is a youth group formed in 2006 for Junior High students (6th-8th Grades). 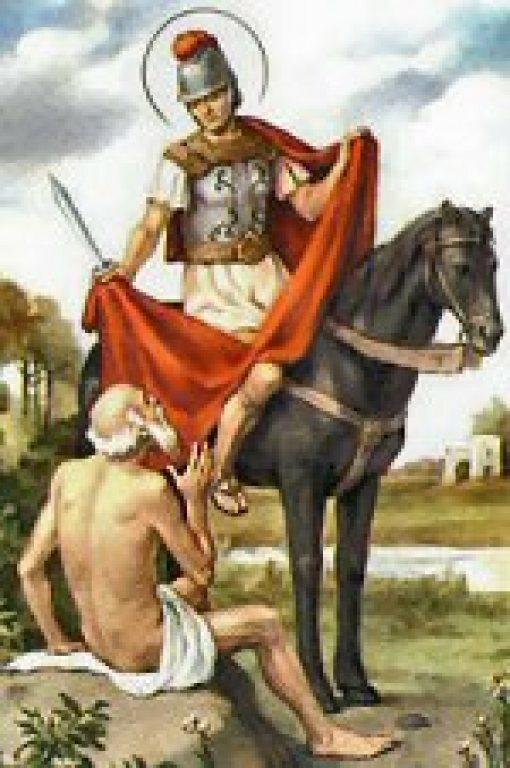 As Crusaders we imitate our parish patron, St. Martin of Tours, who was a soldier in his youth but left it to serve others for Christ. We meet several times a year for spiritual and social activities. Any 6th-8th Grader who wants to meet new friends, have a great time learning about being Catholic, socializing and serving others within a fun and relaxed setting can be a Crusader. There are no dues nor mandatory attendance. Come to the activities you can...chances are you'll want to come back again! Our students make up a super group who have made great friendships. Crusaders Lenten Event: All 6-8th grade students are invited to join us on Saturday, April 4 from 3-8 p.m. in the Education Building for our Crusaders Lenten Event. We will do our Shoebox Service Project and then have our party with food and games. Sign up in the Gathering Area or call Carrie Dean at the parish office at (330) 483-3808, ext. 237.